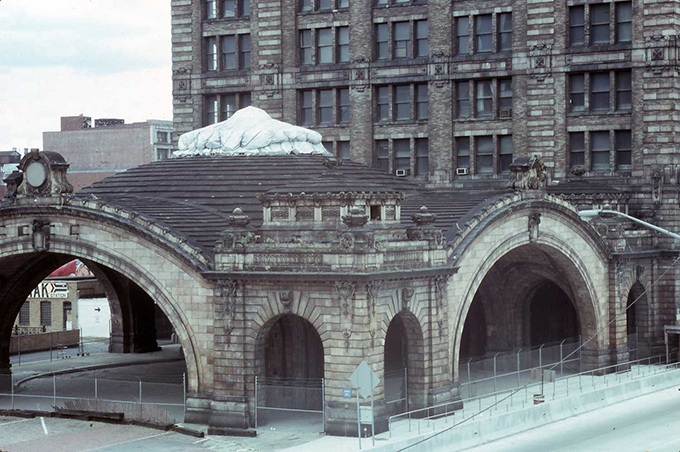 Pennsylvania Railroad Station before it was refurbished. The station is still used today by Amtrak and the old hotel, connected to the station, was turned into an apartment building. Pennsylvania Railroad Station (Pittsburgh, Pa.). ; Railroad stations--Pennsylvania--Pittsburgh. ; Pennsylvania Railroad. ; Amtrak. ; Pittsburgh (Pa.).